The best and most versatile waterproof phone case. NEW & IMPROVED DESIGN JUST LAUNCHED! 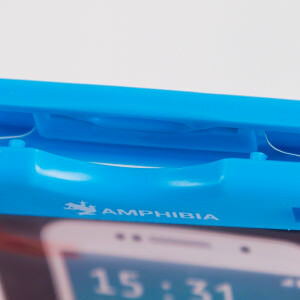 Can be used for valuables, keys and phone (smart phone screen can be used from inside case). 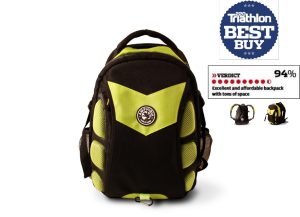 Also includes a fluorescent rim around the pouch for increased visibility! Light and portable – can be used when running, cycling, sailing etc, but big enough to fit the latest smart phones. 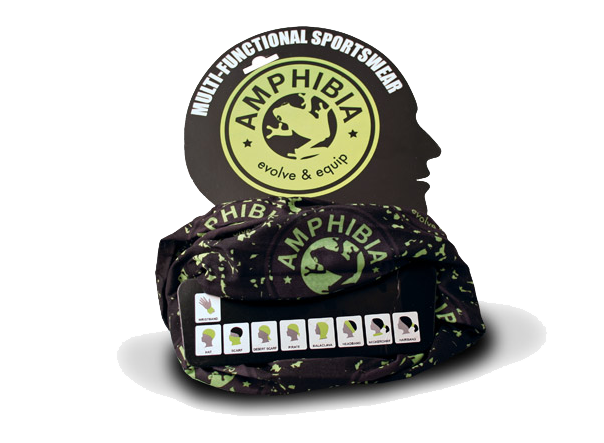 Take the hassle out of sport with Amphibia’s 100% waterproof pouch. Wondering where to keep phone, keys, money etc during activities? 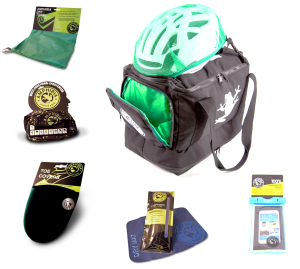 With the pouch you can keep them on your person, fully protected from the elements. 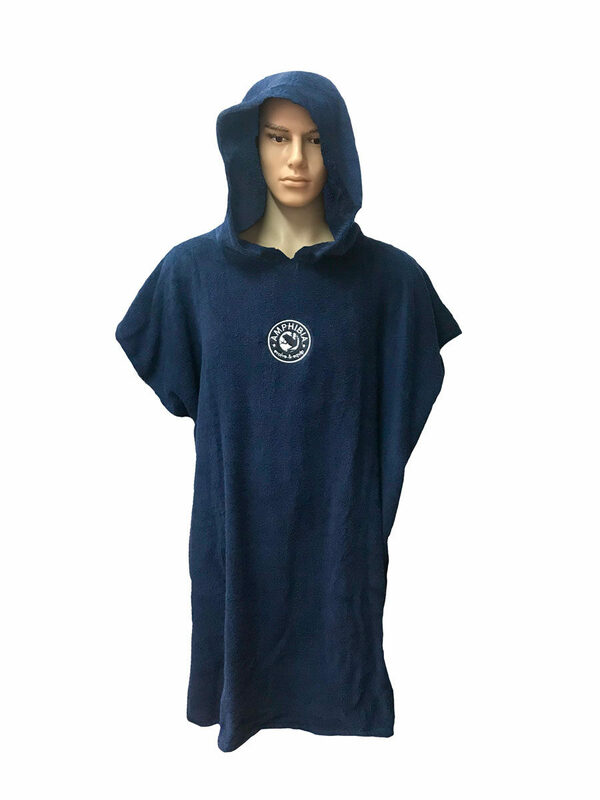 The pouch fits all smart phones – you can even take a call and use your screen through the pouch, sometimes it’s just handy to have your phone with you! 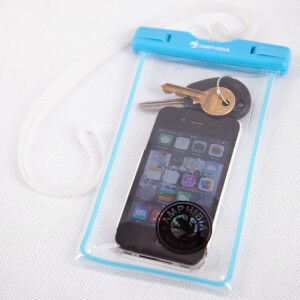 Never worry again about electronic car keys and fearing getting them wet, or hiding them – just keep them with you. 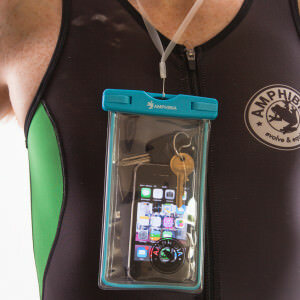 Also the Amphibia pouch comes with a fluorescent rim and a handy lanyard which means you can hang it around your neck, under a wetsuit, lifejacket etc. It wont weigh you down as its lightweight. Never take a chance with your valuables again – so much better to have them with you, 100% protected! A recent upgrade to our waterproof case is a new ‘clever clip’ waterproofing system and the pouch is also slightly bigger so it fits all smart phones. There are countless horror stories of people dropping their phones into water and having issues with sand, dirt, sweat etc. Therefore why the take the expensive risk of having to replace a very expensive phone or car keys? Never mind the hassle of dealing with insurance companies. 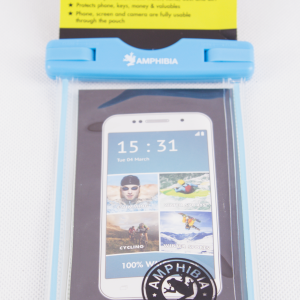 Just remove the risk with Amphibia’s Waterproof Pouch – the best Waterproof Phone Case available today.